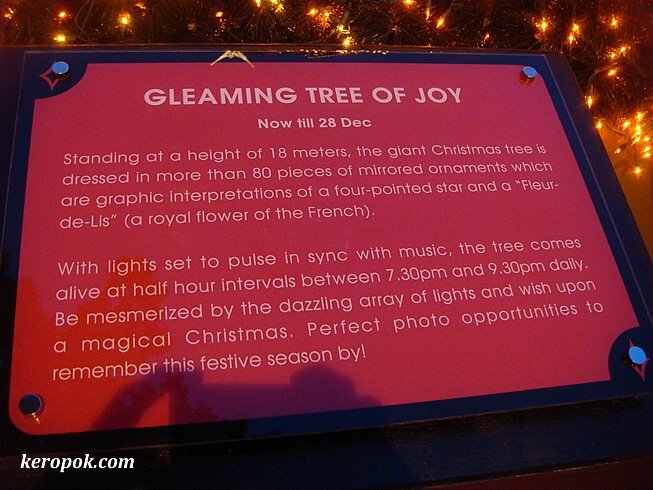 I saw Alice's posting of this dazzling tree today. Must be a great attraction in Singapore! Hello ! very nice blog ! I'm visiting Singapore next month, your city looks very exciting ! Could you please tell me where I can shop during Chinese New Year and how many days shops are closed during this celebration ? An early welcome to Singapore. The 3-4 weeks leading to Chinese New Year, you should be able see specials being offered in most shops at the major shopping malls. If you want to get things more specific to the festival, you can visit Chinatown. There's usually a night market that sells lots of decorative ornaments for the festival. The shops should all open till Chinese New Year eve. After that, they will take a rest, some for the next 7 days. 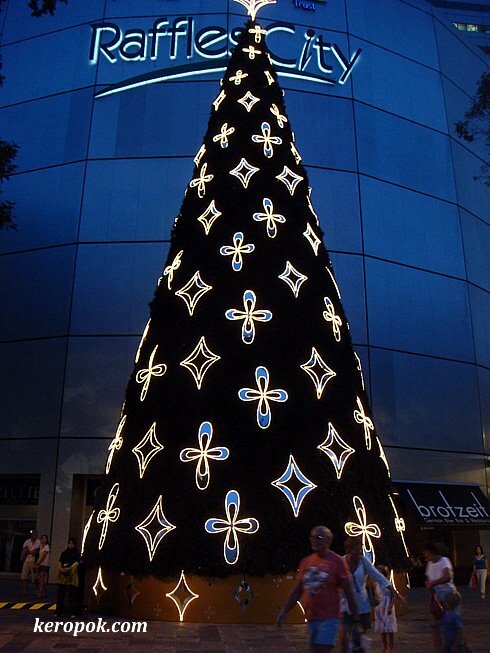 I like this christmas tree! It's just so beautiful.